French Polynesia is one of those tropical destinations that fulfills your imaginary image of a “tropical island”. These islands are strikingly beautiful, and well worth going to see, if you get the opportunity. 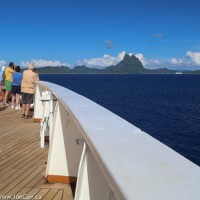 I traveled to French Polynesia twice: on a trans-Pacific cruise in 2014 and on an air charter in 1978. 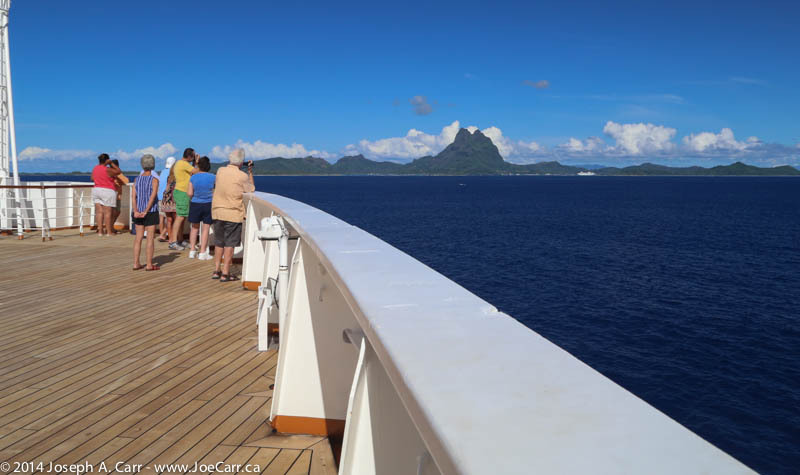 February & March 2014 – Hawai’i, Fanning Island and French Polynesia cruise aboard ms Statendam. I had promised myself after my first trip to French Polynesia that I would return someday. Visiting French Polynesia again after a decades gap was personally very rewarding. I spent lots of time snorkelling and exploring these tropical islands most people only dream about visiting. I also covered a great deal more ground this time, not only visiting some Society Group of islands, but also getting to the Tuamotu and Marquesas Groups of islands. One thing had not changed since 1978: traveling to French Polynesia is still very expensive – both the flights and the accommodation. With this cruise, I embarked in San Diego, stopped in 11 ports of call, including Hawai’i and Fanning Island, and disembarked again in San Diego, and also got to see many of the islands in French Polynesia at reasonable cost. 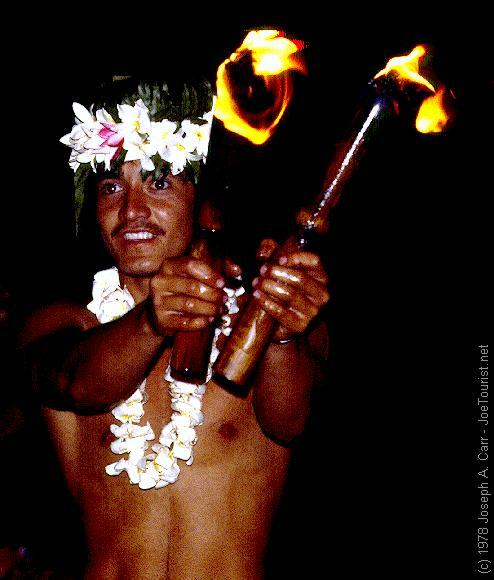 January 1978 – tour to three islands: Tahiti, Moorea, and Bora Bora. This trip was taken many years ago when Pacific Western Airlines still existed (since formed part of Canadian Airlines, and now Air Canada). PWA mainly ran Boeing 737 aircraft on short haul trips within Western Canada, but they owned one long haul aircraft – an old 707. This is the aircraft which took us from Vancouver to French Polynesia on a Suntours tour package. As usual, I was traveling solo, however I soon hooked up with some other travellers who were on the same tour, and who were all from the Vancouver area. We shared car rentals, meals, etc., and explored Tahiti and Moorea together. I took a flight from Papeete airport to Bora Bora (just over one hour travel time) using a turbo-prop aircraft. Most people refer to French Polynesia as “Tahiti”, however the island of Tahiti is only one of many in French Polynesia, and Tahiti is also part of the Society group of islands. 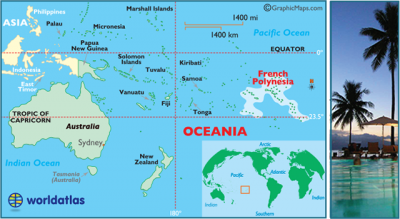 There are five groups of islands in French Polynesia: Society Islands, Tuamotu Islands, Gambier Islands, Marquesas Islands, and Austral Islands. Visitors usually only travel to the Society group of islands, which includes Tahiti, Moorea, and Bora Bora, among others. The capital of French Polynesia in Papeete, which is on the island of Tahiti, and which has the only international airport.